Hello everyone! 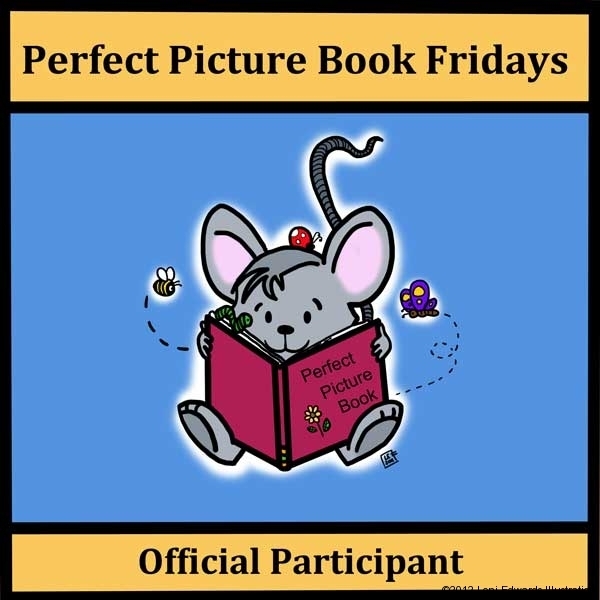 The Fall term of college is over, and I now have some time to do some Perfect Picture Book reviews! Yay! To view more of today’s PPBF’s, please visit author (and founder of PPBF) Susanna Leonard Hill’s blog. Friday is errand day. My mom goes on boring errands, and I have to go with her. And this Friday seemed like every other Friday…until we got to the bakery. A sign above the donuts read: “Buy a Dozen Get a Dinosaur”. Inside book jacket: Get what?! Free what?! Dinosaurs? Just when a little boy thinks he is going to die of boeredom from running errands with his mom, the most remarkable, the most stupendous thing happens. He discovers that on this day, and this day only, stores everywhere are giving away a very special treat with any purchase. No, not the usual lollipop or sticker. Something bigger. Much, MUCH bigger. It’s a dream come true, except…what exactly do you do with these Jurassic treats? And how do you convince Mom to let you keep them? What I liked about this book: I liked how this book started ordinary, then took a turn for the unusual! I liked how it was told from a kids perspective. The book also had a theme of turning a negative into a positive concerning the Mom’s attitude about pet dinosaurs. The illustrations were lively and fun. This book won the E.B. White Read Aloud Award and I can see why. Each turn of the page offers more craziness as kids everywhere on that day, and that day only get dinosaurs! Oh – Loni, this sounds like a “I have to have it on my shelf” book. Awesome concept – I want to know what happens. Yes, it is one of those types of books. Lots of fun! Looks like a lot of fun, Loni! Love how outrageous this book is — I am sure it is a winner with kids. Loved the video. What fun, Loni! “Would you like a side of dinosaurs with that?” Kids will love this to bits! Yes, the zaniness will captivate children, just to see what happens next! I have to admit, this book intrigues me. I LOVE dinosaurs, and so do the kids. Great pick, Loni!